June 2017 Jasper Knight releases his hand signed silkscreen fine art prints titled Grey Ghost, Red stripe, 110, available at Etching House, all prints are made on Stonehenge fine art archival rag paper, the sheet size for Grey Ghost, 110, Red Stripe is 75x56cm. The image artwork covers the full rag paper sheet edge to edge, some paper edges are torn for optional framing effect. 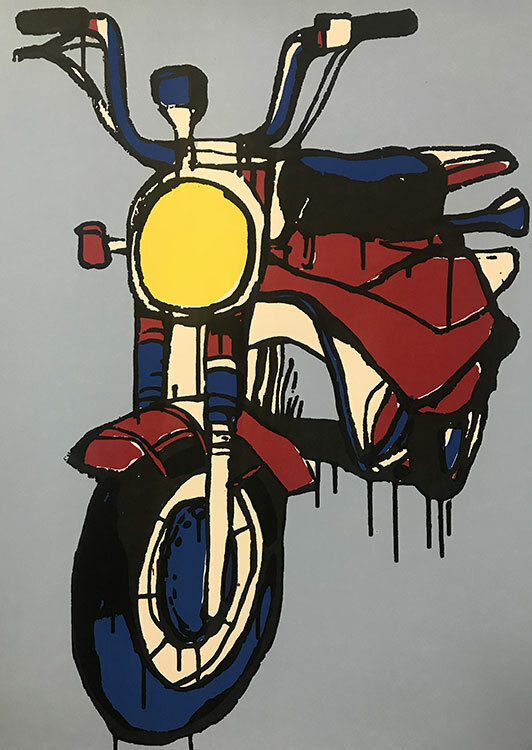 Jasper Knight has limited the edition to a low 30 only of each and all silkscreen fine art prints are hand signed “Jasper Knight”. Jasper Knight Silk Screen print titled 110 is made on Stonehenge paper size 76 x 56cm, edition 30 only.